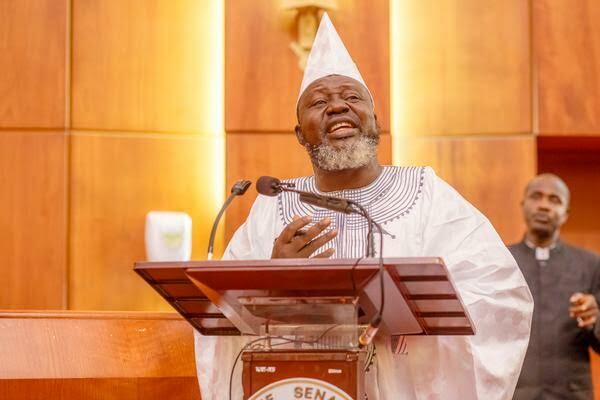 Minister of Communication, Bayo Shittu, yesterday disclosed that the Federal government is proposing to introduce a bill called the Communication Service Tax CST bill which seeks to levy 9% on telecommunication subscribers for users of various communication services such as voice call, SMS, MMS, Data usage from telecommunication service providers, internet service providers and Pay TV Stations. Speaking at a function organized by the Lagos Chambers of Commerce and Industry, LCCI yesterday, Shittu said the introduction of the new taxes without harmonising existing ones would put pressure on the countrys tax system thereby making it unattractive to investors. According to him, the outcome of deliberations on the bill would form the basis of his advice to the President. "This may also be counter-productive in the long run for our targets on broadband penetration. Our ICT Roadmap gives fresh impetus for implementing existing policies and reviewing any that is inimical to the growth of the sector. My focus on any tax regime will be to align any process that will stimulate the economy and also ensure that the tax system is efficient by widening the tax net. It is also to create an effective framework for tax compliance to protect the poor and vulnerable in the society who nonetheless have to use telecoms services for social inclusion and financial services. According to Shittu, the bill is being considered as a way to help increase the revenue generation of the Federal government. I have been reliably informed that the projected earnings from this effort is over N20 billion every month, which is an attraction to the government for funding our budget deficits. I must be quick to say that this government has a human face twined around its decisions"he said The minister added that the government would provide an enabling environment for the ICT and telecommunication sector to thrive through the enactment of relevant legislation.